It’s that time of year—the time to gift kitchen gadgets to the chefs in your lives! 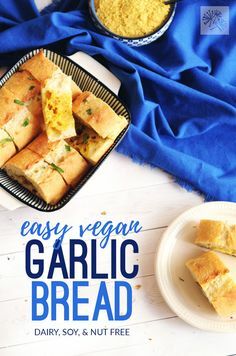 Complete with vegan recipes so you can get started right away! With a late November anniversary, an early December birthday, and Christmas just a few weeks behind, Irving often takes advantage of Black Friday and Cyber Monday deals, and gifts me the latest and greatest kitchen appliances. While I know that appliances don’t seem like the most romantic gift in the world, this girl loves them, and my sweet husband knows it! In the 14 some years that we’ve been together he’s given me a food processor for Christmas, a blender for Mother’s Day, an Instant Pot for a birthday, an Air Fryer for another birthday, a dehydrator for another Christmas, and countless little gadgets in between! Let me just say that I have a well stocked kitchen. Are you looking for some new kitchen gadgets for the people on your shopping list this year? 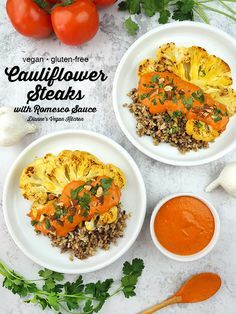 How about some yummy vegan recipes to go along? Here are a few of my favorite recipes and kitchen gadgets to go with them! The Instant Pot is a modern version of a pressure cooker. It’s completely digital, easy to use, and drastically reduces cooking time! 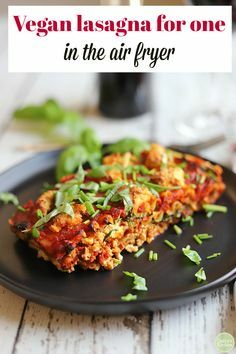 I love to make dried beans in mine, and also rice! Oh….and mashed potatoes!!! Once you get over the (semi irrational) fear of it exploding it will become your favorite appliance! Get one NOW! My Air Fryer is the newest appliance in my collection! It cooks foods at a high temperature in a basket so that the air can cook from all sides, allowing it to stay crispy! 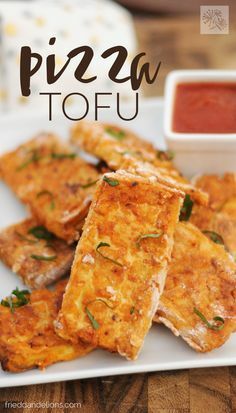 So far I have loved using it to make fried tofu, heat frozen treats quickly (I’m looking at you, pizza bites! ), and of course, air fryer brussels sprouts! Get one NOW!!! Everybody’s favorite blender! The Vitamix will have your smoothie blended in just 1 minute! Strong enough to break down ice, or grind up nuts and seeds into a creamy sauce, the Vitamix is a staple in kitchens everywhere! Get one NOW!!! My food processor was the first kitchen appliance I received from Irving, more than 13 years ago! One replacement blade and it is still going strong! 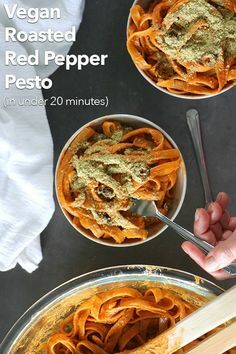 I love to use it for quick pulse recipes like salsa, pesto, and tapenade! I even use the pastry blade to make my pie crust! Get one NOW!!! What would I do without my beloved ice cream maker? Growing up, my family had a hand crank ice cream maker. Lots of fun, but so much work! This electronic version is as easy as the touch of a button! The best part? You can make any flavor you can dream of! Get one NOW!!! And of course, it’s not all about the fancy electronic gadgets. A few other staples in my kitchen include…. Happy Cyber Shopping—don’t you just love shopping from home in your jammies? Get your clicking fingers ready to find some great deals! Be sure to report back in the comments below and let me know what your favorite kitchen gadgets are! I love kitchen gadgets for gifts too. One year I received a juicer for Valentine's Day, and the next year it was a Vitamix. That's romance to me! Haha! This is a very handy round-up for ways to use the gadgets on my counter and in my closet! Yes! Well thought out gadgets and appliances are good! My dad gave my mom a dust buster once....they still talk about it....35 years later! So maybe not all appliances are safe for gifting! But all of these are! Yessss this post is right up my alley - I love gadgets!! And I'm super jealous of your slick, white air fryer. That's the air fryer from the 60s vision of the future! Right? Anyone who has seen it on my counter has asked about it! It looks like some kind of space pod. I love it! I have every gadget you can think of, and some don't get as much use as others. Thanks for the reminder to use them! Yes! That happens to me too! I open a drawer and remember "oh yeah..." I go through phases!